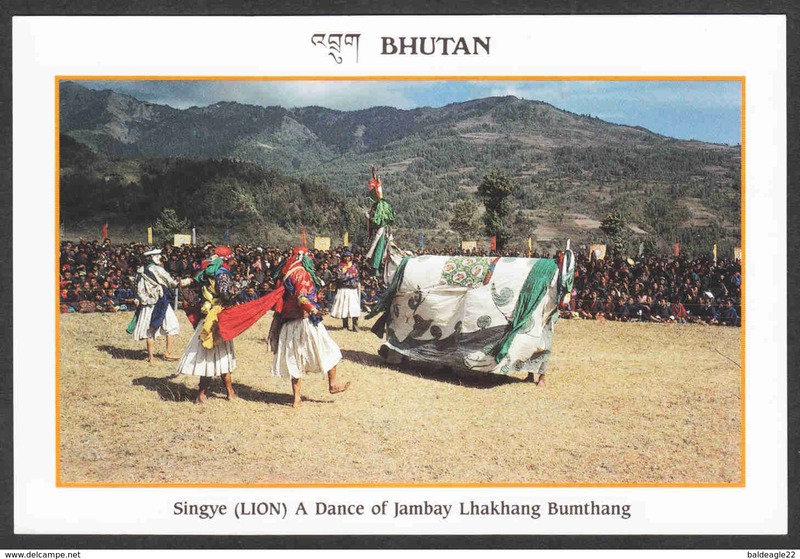 Bhoutan - Bhutan - Singye (Lion) A Dance of Jambay Lhakhang Bumthang - Card measures 7" X 4 3/4"
CONDITION: CARD SHOWS NORMAL WEAR FROM TRAVELING THROUGH THE MAIL. SHIPPING: Buyer pays actual cost of postage based on size and weight of package. Insurance and/or Registration extra at buyers expense. Shipments outside the USA are at buyers risk. METHOD OF PAYMENT: Cash (at your own risk), check drawn on a U.S. bank account, Domestic Money Order, International Money Order cashable within the USA, Western Union Money Transfer or a Western Union Money Order. Please check my other auctions/sales. Lots can be combined to save on postage. Lots not paid for after 10 days from close of bidding will be re-auctioned unless special arrangement are made. RETURN POLICY: If you are not satisfied for any reason please return the item(s) within 14 days for a refund. 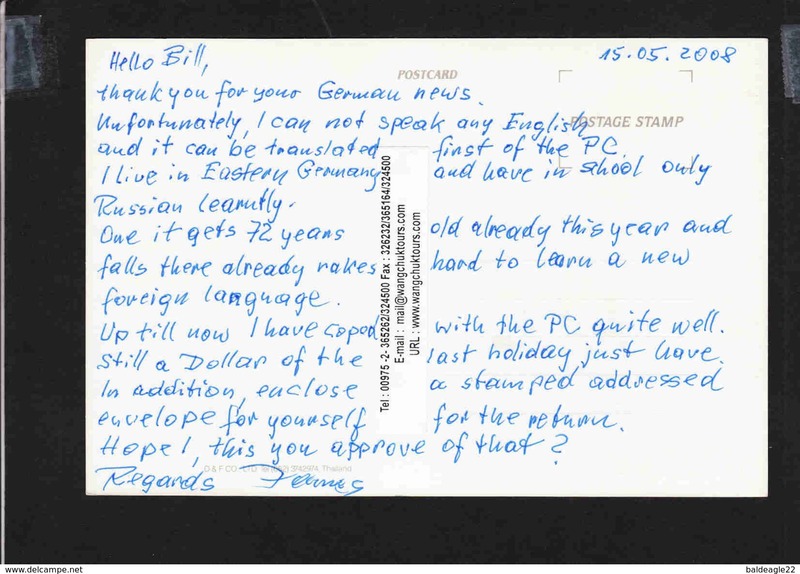 E-mail if you have questions.